Looking for something fun to do for Halloween? With all the events in Southwest Florida, you may have a hard time choosing which one to go to tonight. Check out the 7th Annual Halloween Spooktacular on 5th Avenue South which is one of the best events in Naples, Florida. Spooktacular on Fifth: The Seventh Annual Halloween Spooktacular event in Fifth Avenue South in downtown Naples will feature costume contests for kids and pets, live music, games, street dances, spooky movies, and trick or treating. This spooky event attracts more than 30,000 ghoulish creatures. Free to attend. For costume contest, there’s a $10 registration fee per child or pet. 239-692-8436. Halloween in Paradise: Paradise Wine will host a Halloween Dance Party from 7:30-11 p.m. featuring a costume contest, games, and prizes. There will be music for everyone. 8965 U.S. 41 N, Naples. 239-687-3155. Naples is a great place to retire or relocate. If you are looking for a wide variety of activities, Naples has something to match everyone’s lifestyle. When you are ready to purchase a single family home or condo in Naples, let me be your guide to find your dream home. With almost 20 years of experience, I can help provide the market information and more importantly, provide insights into individual communities to help ensure you select the best property to match your needs. 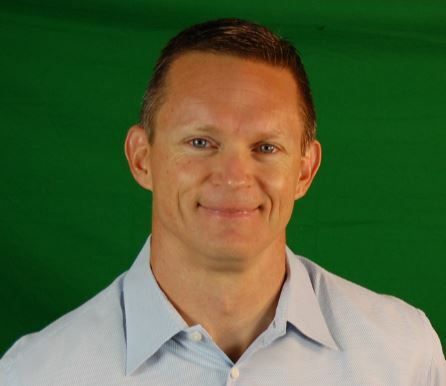 Matt Klinowski has lived in Naples for more than 15 years. 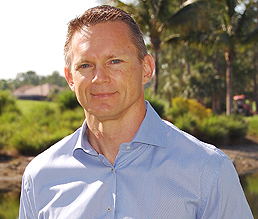 He is an expert on the local Naples, Bonita Springs and Estero real estate market and specializes in real estate within golf communities. Matt enjoys the laid back lifestyle in Naples with his wife Michele Klinowski. We have plenty of Naples area events to chose from this weekend. The highlight of the weekend will be the U.S. Open Pickle Ball Championships at east Naples Community Park. Additionally there are multiple farmers markets to attend or you can head to the Conservancy of SWFL for their annual Earth Day Festival. When you are ready to purchase a single family home or condo in Naples, let me be your guide. With more than 15 years of experience I can help provide the market information and more importantly, provide insights into individual communities to help ensure you select the best property to match your needs. Lastly, I will manage all of your contract negotiations to ensure your real estate transaction is effortless from the first offer to closing. We have a full calendar of southwest Florida Events this weekend in the Naples and Bonita Springs. The highlight of the weekend will be the St. Patrick’s Day Party on Fifth Avenue South in downtown Naples. Additionally the 17th annual St. Paddy’s Dinner Festival at the Southwest Performing Arts is an event you don’t want to miss! We have a full calendar of events this weekend in the Naples area. The highlight of the weekend will be the St. Patrick’s Day Parade on Fifth Avenue South in downtown Naples. A great weekend for events in the Greater Naples area for March 4th and 5th. Start the day at the Third Street Farmers market then head to the Naples Craft Beer Festival at Bayfront. A wonderful weekend filled with several events in Naples Florida this weekend. Head to TwinEagles Golf Club to watch the Champions Tour. Or venture downtown Naples for one of the top art shows in the country. An excellent weekend for SWFL events in Naples, Marco Island and Bonita Springs! This is one of the best weekends of the year for events. Naples is a great place to retire or relocate. There are constantly a variety of activities to suit everyone’s lifestyle. Once of the best weekends of the year in Naples! View the full Naples Events Calendar….. There are three great options for events this evening in Naples. If you are an animal lover, head to Venetian Village for Santa Paws and get your picture taken with Santa Claus and your pet. Or, if you prefer music, and you are looking for something special, head to Fifth Avenue South for Tuba Christmas. Finally, you can also head to Third Street South for music, entertainment and if you can believe it, SNOW! We have a great weekend of events scheduled in Naples, Florida. If you are looking for something fun to do, there are plenty of opportunities to spend time downtown Naples.